Raise a glass to celebrate 40 Years of the Safe Drinking Water Act! Happy Birthday, Safe Water Drinking Act! You truly are getting better with age! The law has been amended twice (1986 and 1996) to include many actions that protect drinking water and the rivers, lakes, reservoirs, springs and wells that supply it. As part of our compliance with the EPA’s regulations, PWD produces an annual Drinking Water Quality Report and maintains a Source Water Protection Program that has made our Delaware and Schuylkill watersheds cleaner now than they have been in over a century! Of course we still face many challenges to keeping our rivers and drinking water clean, but, hey, it’s what we love to do! Most of us don’t give a second thought when we put our glass under our tap and fill it with water. And that’s true whether we’re taking that drink here in Philadelphia or in a hotel in Hawaii or a campground in Alaska. Aside from very rare instances (and for PWD customers, so rare to be virtually non-existent), the water from our tap can be trusted to be clean and safe, in part, because of compliance with the SDWA and the billions of dollars of infrastructure investment that keeping in compliance has required. That we can take our tap for granted is even more amazing when you consider how many parts of the world—for lack of funding, dysfunctional governments, or natural shortages—spend a major part of their daily lives finding drinkable water. To hear PWD Commissioner Neukrug's interview on WHYY's RadioTimes about the Safe Drinking Water Act, click here. In Philadelphia the cost of 50 glasses of water is less than a penny! 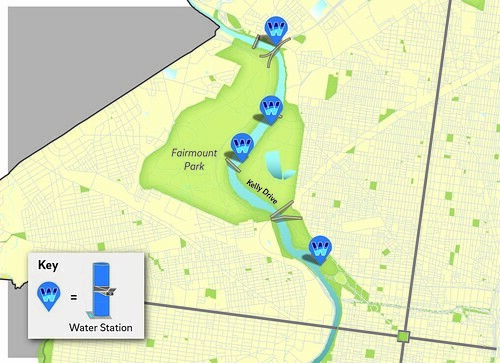 PWD monitors Philadelphia's water 24/7 at three treatment and at checkpoints throughout our delivery system. It's estimated that 25% to 40% of all bottled water is taken from the municpal water supply. 75% of a chicken, 80% of a pineapple, and 95% of a tomato is water. It is possible for people today to drink water that was part of the dinosaur era! To celebrate, raise a glass of cool, delicious (and safe) tap water (or eight ten-ounce glasses if you want to get the 2.5 quarts the EPA recommends you drink to “maintain health”) and read up on what YOU can do as an individual to help US keep your drinking water clean and safe.